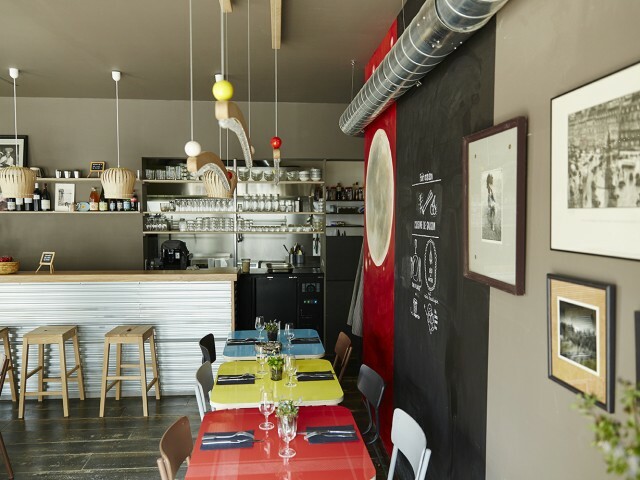 The dog of the moon located in Goutte d'Or offers a home-made menu with fresh products and each time a vegetarian dish, organic wines or sustainable culture, a reading / playing area for children, a mini boutique design where the deco of the restaurant is to buy on order. In summer, guests enjoy the south-facing terrace and aromatic plants. A few steps from the Bouffes du Nord theater and the FGO Barbara center!